“The body tells you what you do like and don’t like. It tells you clearly, sometimes even forcefully, but you don’t hear it. Perhaps you’ve forgotten how to listen as you stopped paying attention so long ago. 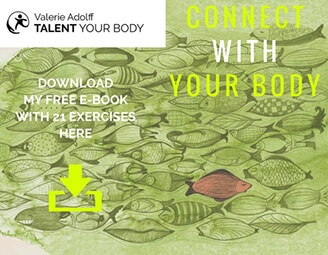 Valerie taught me that your muscles (like your organs, skin and bones) have emotional memory. And can get sick. They always react to external impulses in the same way; probably in the same way as they have been since you were a child; it’s just that when you were younger you had a better understanding of how closely ‘body and soul’ are related – you could feel an adult’s disapproval in your stomach. You can cheat your mind, but you can’t trick your body. “I started taking sessions because I didn’t feel relaxed in my environment. There was no specific problem with a specific person, or muscular pain (or I didn’t want to feel/recognise them), but I noticed that something wasn’t working when I was with people. The sessions taught me to listen to and notice my body in these situations.